It's as easy as click and create. Select a product, choose your photos, drag and drop, add your own text and bring your photos to life in one of our wide, wide range of products. And if you are not quite sure where to start, you can book an appointment for a walk through of how easy it is or just call us on 1300 553 448. Create a travel photo book, remember a birthday, celebrate a wedding, cherish a friend with albumworks easy-to-use software. Choose from Australia's widest range of print quality, paper choice, binding styles, covers, colours and accessories to bring that special memory to life. Photo print quality has fallen over the years, paper has got thinner and colours less vibrant, but not at albumworks. Your photos are brought to life on the highest quality photographic press and printed on archival quality photo papers. Your prints will be more vibrant and they are designed to last for the many decades to come. 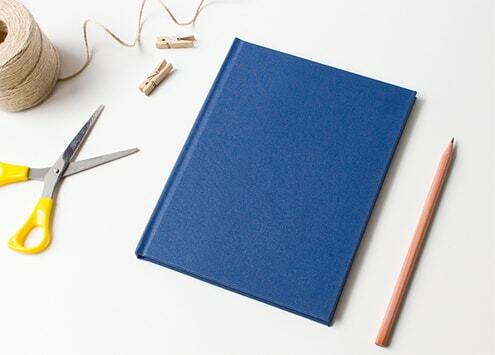 We have reinvented the humble Journal and Notebook. Forget department store quality items, these are bound just like a real book and printed on beautiful, quality writing papers. Add genuine gold or silver foil to your Journal or Guest Book to create a truly personalised piece of stationery. 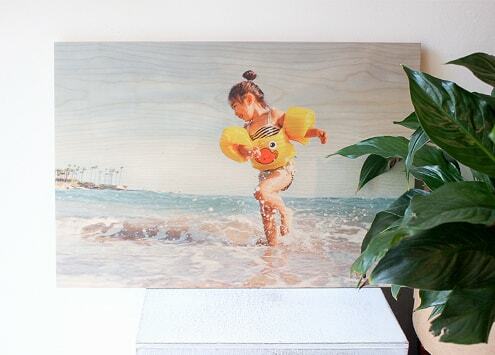 Rescue your photos from the depth of your hard drive or smartphone and bring them to life on your walls with a stunning Canvas NextGen, trendy wooden or framed print. Celebrate the important moments in life with our easy to make Home Decor range. We take service and quality seriously, and we know that you want your product ASAP. Typically, we have 95% of all our items dispatched in 4 days, but sometimes we will make your order a second time to make sure the quality is just right, so this translates into a 7 day dispatch guarantee. Please allow 2-3 days for delivery to all major capital cities (and a little longer if you live in a rural or remote area). With Photo Books and Calendars starting from just $19.95 and our Prestige Prints from only $3.95 there is a product for every budget. Have a play with the price calculator to find the right product for you. Make a statement with a personalised photo gift. From homely cushion covers to stylish desk plaques, add your own photos and text to make a one-of-a-kind gift that's sure to be treasured.